Emergent Devices is an electronic design firm, and helping startups and small businesses ship electronic devices is how we spend most of our time. But in the process of building and tinkering, we occasionally create useful byproducts or want to try out more harebrained ideas. 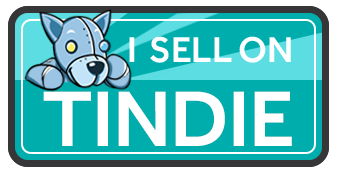 To share these ideas and participate in a vibrant online community, we sell some of these things on our Tindie store. We’ve never been big users of eBay, so this is a bit of a foreign endeavor. Here are some notes on how we go about building and shipping this stuff. Bare PCBs are ordered from a low-cost vendor, usually Dirty PCBs. Parts are ordered from US distributors like Digi-key and Newark. Boards are assembled, inspected, and tested manually. This keeps costs reasonable. This is done in batches, usually enough to last a couple of months. If volumes ever got big enough we’d have to explore turnkey assemblies. Shipping supplies are all purchased from Amazon. We like #0 bubble mailers. They fit half sheet shipping labels perfectly and are big and robust enough. Amazon has anti-static bags too. Shipping is done exclusively by USPS. It’s easy to drop packages in the mail box. First class mail parcel is most cost effective, but keep in mind the package must be less than 13 Oz. and less than 1/4″ thick. We don’t normally ship internationally because it’s expensive and time consuming. Shipping labels are purchased and printed through Paypal Shipnow, which is cheap and doesn’t charge a monthly fee. It’s more expensive than going into the post office, but it saves time. Include a packing slip in case anything gets damaged. Lots of templates can be found online. When an order comes in, Tindie sends an email. We make sure to ship within 24 hours since Tindie keeps track of your turnaround time. Once it’s shipped, we note the tracking number in Tindie and an email is automatically sent to the purchaser. All of the shipping materials and even electronic components may be cheaper on Ali Express, but you usually have to buy more, wait longer, and/or pay a lot of shipping. It is essential to get the word out, because simply posting the product isn’t enough to get people to buy it. We share the work we’ve done in online communities we participate in, and try to help out in those communities whenever we can. We hope this helps, but please get in touch if you have any questions.